With the freedom and comfort of DreamWear Full Face, you can sleep how you want. DreamWear’s innovative design prevents red marks, discomfort, and irritation on the nose bridge. This mask allows you to wear glasses, read, or watch TV before bed due to its unobstructed view.
? This is the size/length of the part that extends from under your nose to the top of your head. A Medium fits most men and a Small fits most women.
? This is the size of the part that seals around the bottom of your nose and over the mouth. Easily switch between full face, nasal and gel pillow cushions. 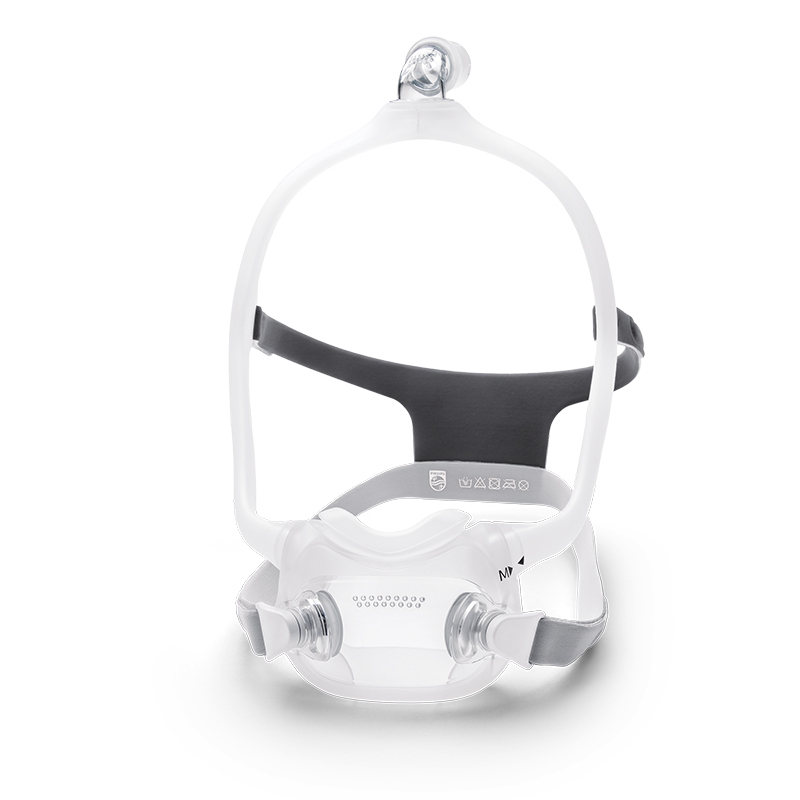 Mask frame is interchangeable with full face, nasal, and gel pillows. 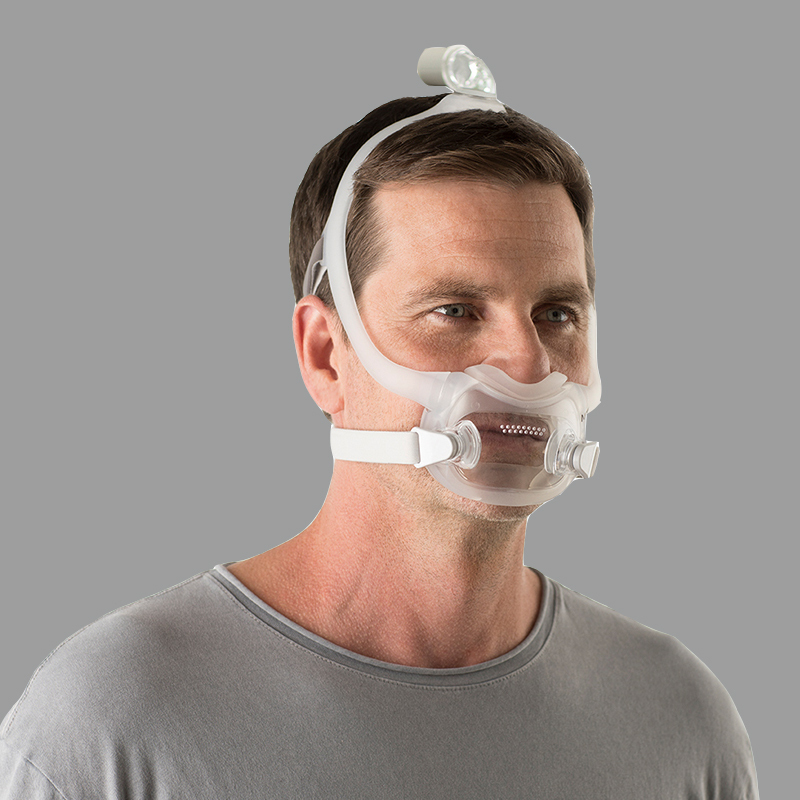 The DreamWear Full Face Mask follows the same sizing as the DreamWear Nasal Mask. Not sure which size to get? Take a look at our sizing template below! Sizing Guide for DreamWear Full Face Mask. To clean your mask please hand wash with warm water and mild detergent. Make sure that you rinse thoroughly and allow the mask to air dry completely before use. The headgear and tubing should be hung up to dry. 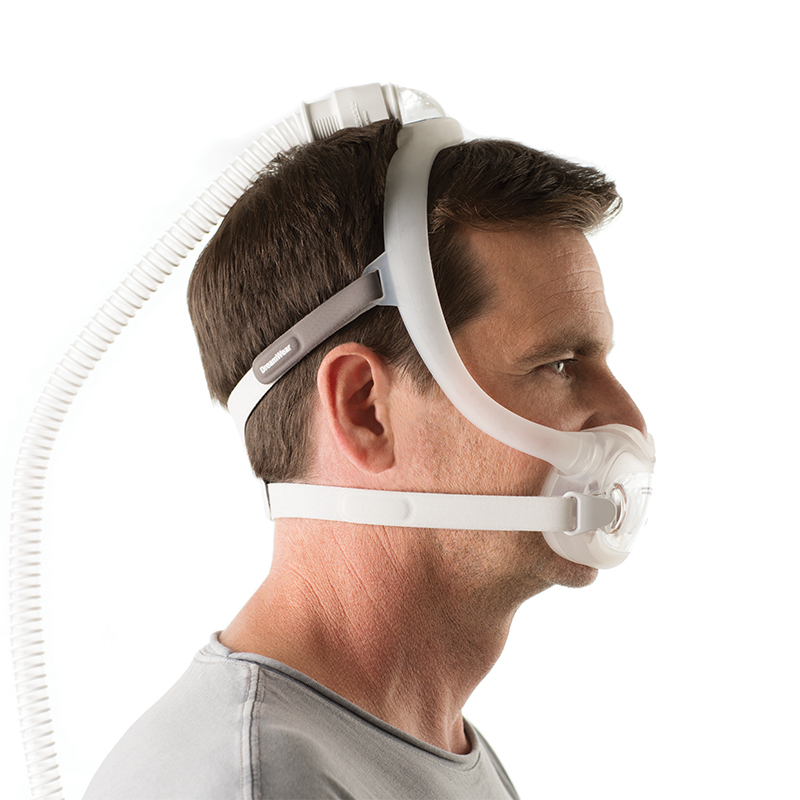 The DreamWear is safe to use in a CPAP Sanitizer machine (i.e. SoClean 2, or VirtuClean). Please note that the DreamWear full face cushion is tightly attached to the mask frame. In order to dissasemble your mask you will need to squeeze the point of attachment (where the arrows line up) and then pull the frame away from the cushion. The attachment will loosen over time, making it easier to dissaemble the mask in the future. I find it very difficult to get a comfortable fit to breath out the nose. I felt constructive and have gone back to an old mask.